Hussein took a perilous journey to safety; Charles and Catharine are helping him move forward in London. 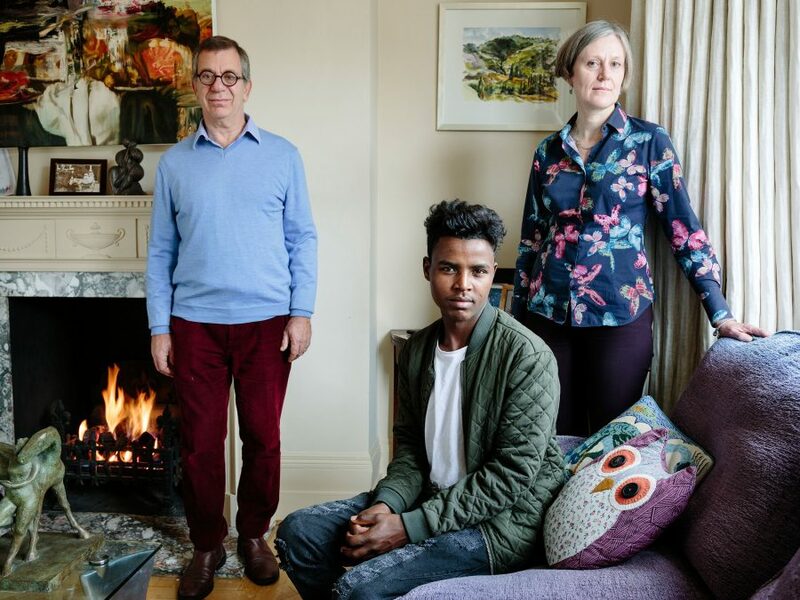 Charles Elliott, 61, and wife Catharine, 55, have been hosting Hussein, 20, from Ethiopia since October 2016. Hussein fled because his father is a political prisoner. Charles’ parents were refugees from Germany, so hosting people in need of international protection resonates strongly with him. ‘The big smiles and gratitude, it’s beautiful to live with. You just learn how to communicate even if you don’t speak the same language,’ Charles said. ‘It’s very difficult to resettle,’ he added. Hussein said his journey has been extremely difficult but he is happy in the UK.